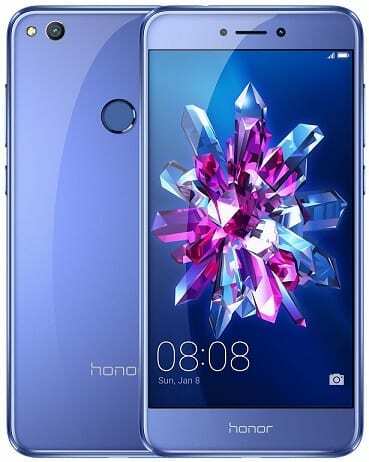 Huawei Honor 8 Lite is a 2017 addition to the Honor range of smartphones offering great features at reasonable prices. The mid-ranger flaunts a stylish design and comes with a powerful processor, robust cameras, and a FHD display. The Huawei Honor 8 Lite, a more affordable variant of the Honor brand’s 2017 flagship Honor 8, looks good. It shows what its maker describes as ‘Water Droplet Design,’ drawing inspiration from the Antelope Canyon. The unibody design features slabs of 2.5D curved glass separated by a plastic frame. In this one, you have an attractively slim device measuring only 7.6 mm in thickness. Huawei Honor 8 Lite packs a 13.2cm (5.2-inch) display with Full HD resolution of 1,920 x 1,080 pixels. Featuring colour enhancement and backlight adjustment technology, the screen looks to offer great viewing experience. Honor promises professional results with the camera on its 8 Lite. There is a 12 megapixel shooter featuring BSI CMOS sensor on the rear. The company says you can anticipate great shots in low-light conditions from this one. Phase detection autofocus helps to achieve sure focus in theoretical 0.3 seconds for better accuracy. Huawei Honor 8 Lite has on its front an 8MP camera with a 77-degree wide-angle lens. There are also ‘all-new selfie modes’ for more pleasing results. The Huawei Honor 8 Lite seems to have it going hardware wise. It packs an octa-core HiSilicon Kirin 655 processor that runs at speeds up to 2.1 GHz. This has an i5 co-processor that takes charge of sensor input for power conservation. A Mali-T830 GPU sees to graphics crunching. RAM of 4 GB looks ample enough to let your apps run seamlessly. There is expandable internal storage of 64 GB. The Huawei Honor 8 Lite boots in-house EMUI 5.0 software based on Android 7.0 Nougat. Huawei Honor 8 Lite offers a split-screen feature. It has a fingerprint sensor that Honor says unlocks in just 0.3 seconds. The dual-SIM device supports 4G VoLTE. It packs a 3,000mAh juicer rated to last up to 93 hours (almost four days) of use. Huawei Honor 8 Lite is available in Nigeria, Kenya, and Ghana. You can buy the smartphone at leading online stores in your country. The Huawei Honor 8 Lite Price in Nigeria ranges from 57,500 Naira to 90,000 Naira depending on your location.